Got back from a good spring break week away from school and teaching. Spent the time in New Mexico and found a lot of good opportunities to shoot. I plan to bring these images to you over the next few weeks. Our first stop was Carlsbad Caverns NP. Carlsbad has over 119 caves within the national park boundaries. Of these only three are open for public visitation. Two are primitively developed and open for guided tours only. 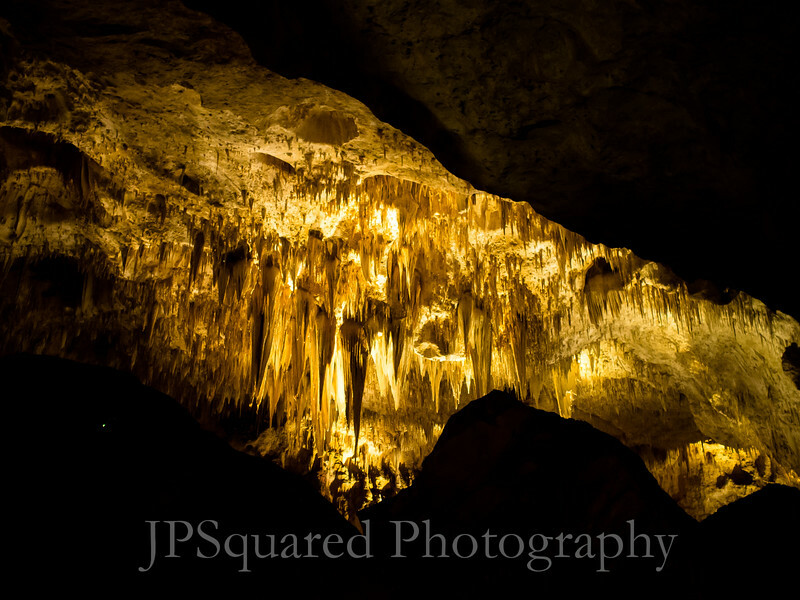 Carlsbad Cavern is the most well developed and arguably overrun with humans. Within the cave, the Big Room, is the fifth largest single room in North America, featuring a mile long hike that never leaves the chamber. Overall it is one of the most ornate caves open to public visitation. It is also known for the bats (hundreds of thousands) which fly out each evening in magnificent spectacle. Still within the park, but not open for visitation is Lechuguilla Cave. Featured in the BBC mini series Planet Earth, it is one of the deepest and may be one of the most ornate on the planet. We spent our time in Carlsbad Caverns. After a 70 story elevator ride to the bottom, it was time to shoot. It was the first time I have shot in a cave and I did not bring any support. There's enough traffic that a tripod would have been an impediment to others. So I turned up the ISO, opened up both of the two prime lenses I shot with and shot everything handheld. I wish I had a little less noise in these shots, but then again I was 800 feet beneath the earth's surface. The cave was spectacular enough that almost all the images I shot were interesting, skill on my part was not required. Hopefully, the nine I present here were enhanced by my abilities.